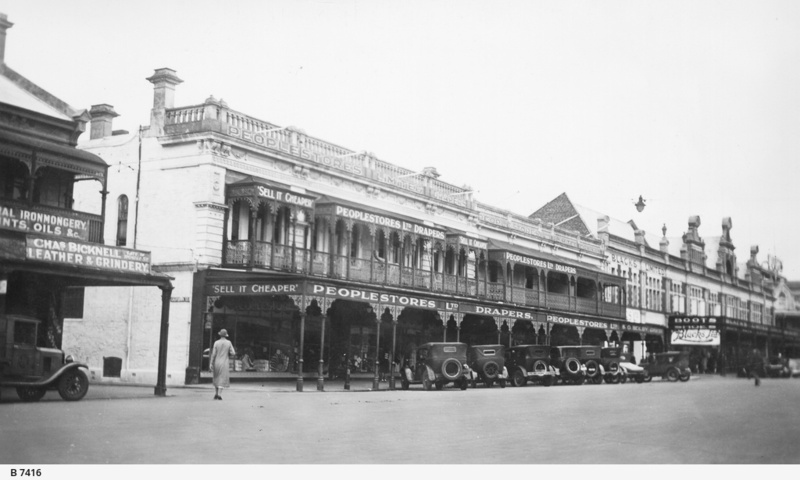 Peoplestores, Gouger Street, north side, 1 March 1938. Frontage of Peoplestores is 44.5 yards. For alterations made to Peoplestores in 1938 see B 8175. The left side to Peoplestores Ltd. abuts California Street. This two storey shop has a balcony running along the front of the store and deep verandahs at street level. Several cars are parked in front of the shop. The parapet has angled flagpoles over the street.